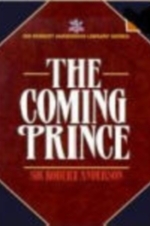 The thesis of this book is that the Antichrist will attempt to present himself as the Jewish Messiah, that he will try his best to appear as if he is instituting what Jewish believers know as the Messianic Age and what Christians know as the Millennial reign. 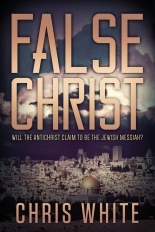 This book will show that much of what we know about the Antichrist points to the conclusion that his goal is to deceive the world into believing that the Messiah has come, that the Messiah is, in fact, God, and that he deserves the worship of the world. His destruction of the enemies of Israel in Daniel 11:40-45, his seven-year covenant, his rebuilding of the temple and starting the daily sacrifice, his eventual ending of the sacrifices and sitting in the temple to accept worship, his making Jerusalem the capital of the world, even his promotion by the False Prophet (who, this book argues, will claim to be Elijah) all support this position. This view will be presented in great detail and special attention is also given to objections to it. 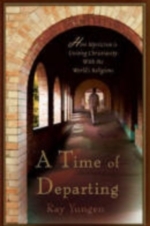 This book also argues that the little-known eschatological (end-time) beliefs of the Jewish theologians, according to the Talmud and other rabbinic writings, seem to encourage Jews to accept as Messiah a man with the exact characteristics of the Antichrist. Correlating to this view, we will present evidence that Islamic beliefs about the end times, as related in the Quran and the hadiths (the sayings of Muhammad), will cause them to play a very important role in the Antichrist’s rise to power. This view is the earliest view of the church, it has been almost totally forgotten in recent years. If it is true, it would mean the deception of Satan in the end times will be far more potent that many of us have ever imagined. For more from Chris White, visit his site BibleProphecyTalk.com. This book is a fascinating look at a perspective I had heard of, but not really investigated previously. After my first time through I realize there are a lot of things I need to re-examine that may change a lot about how I view the future times playing out that make a lot more sense and fit together into a better picture than I previously had. As always when realizing you may have blindly accepted common teaching, it’s a hard pill to swallow, but I plan on digging more deeply into what has been very well put together in this book and go where the facts and scripture lead. This will likely mean some major rewrites to this site, but I hope a better and more complete picture of what is coming so we can remain awake and aware. The Book of Daniel is one of the most important ancient texts in the world. It is rich with practical information for followers of Christ, as well as being one of the most technical books in the Bible with regard to prophecy. Chris White goes verse by verse through Daniel with meticulous detail, especially in regard to the prophetic portions. He expands on many long held positions held by conservative expositors, while departing from them on a few others. 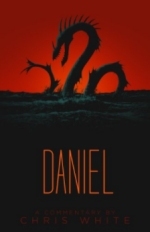 Notably his “contemporaneous beast view” of Daniel 7, as well as a view on Daniel 9 that proposes to solve some long standing problems for conservatives like himself. White focuses in on the Antichrist at many points in the book with an intent to separate tradition from scripture about this figure. Its clear that White believes that the church can know a good deal more about the geopolitical situation just prior and during the rise of Antichrist. White offers a number of insights to the reader about this awful figure that aren’t often articulated by modern prophecy teachers…but should be. White is a very conservative premillennial / dispensational expositor, holding to a strict “face value” Hermeneutic. He stays away from sensational or speculative matters, and makes sure to give the reader plenty of options, especially in the occasions when he departs from traditional interpretations. For more from Chris White, visit his site BibleProphecyTalk.com. Never before has such a complete refutation of the Islamic Antichrist theory been in print. Chris White critiques all the major arguments from Islamic Antichrist proponents such as Joel Richardson and Walid Shoebat in a respectful but poignant way. He uses sound methods of biblical interpretation to show that the Islamic Antichrist theory is seriously flawed. 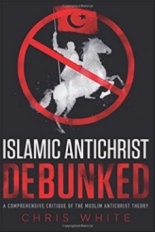 This book refutes all the major arguments for the Islamic Antichrist theory and reveals new discoveries about the origins of Islamic end times beliefs which call into question claims of Islamic Antichrist theorists concerning the supposed similarities of figures like The Mahdi and the Antichrist, Isa and the False Prophet, and the Dajjal and Jesus. 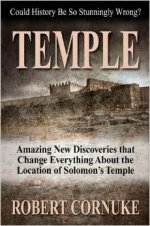 In a book that is being heralded as “an investigative maserpiece” with “astounding archaeological and prophetic implications,” TEMPLE: Amazing New Discoveries That Change Everything About the Location of Solomon’s Temple, by Robert Cornuke, is sending shockwaves through the Jewish, Muslim, and Christian worlds. Can you imagine the upheaval in political and religious thinking if the Temple Mount in Jerusalem is not the site of Solomon’s and Herod’s temples? And what if the stones of the Wailing Wall are not what tradition says? 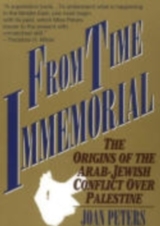 In this highly-researched, exciting book, the author proposes from current archaeological excavations and Scriptural corroboration that the true temple location is not where tradition teaches. This is must reading for anyone who wants to fit together the pieces of biblical records, current geo-polotics, and prophecy. If you have Amazon Prime, you can watch a documentary called Jerusalem and the Lost Temple of Jews that covers this idea that the temple location may not be where everyone thinks it is. While this may not affect where the future temple is rebuilt, it is still a fascinating topic. 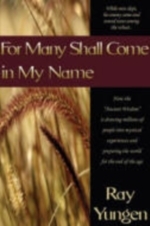 by Constance Cumbey - Amazon.com FREE Online!! 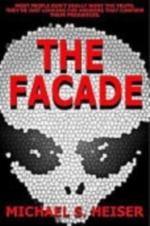 Read the whole book for free online from here as well as A Planned Deception. 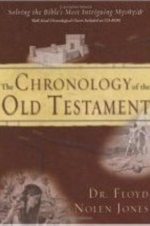 Is there a difference between covenant and testament? How does the rainbow reflect God’s plan for mankind? What is the difference between devils, demons, and Nephilim? Join us on an exciting adventure to rediscover the treasures still buried within the pages of The Book that reveal the pathway to the heart of God. Read some excerpts here. This is the second in a three-volume series that will cover the entire book of Revelation in awe-inspiring detail, expounding and expanding on familiar verses in God’s Word that have been misunderstood and misconstrued for many years. Or, in some cases, linking together verses and concepts that have been repeatedly overlooked. 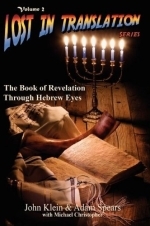 In this volume the authors explore the first half of Revelation from the perspective they established so clearly in volume 1 - that of a Hebrew God speaking through a Hebrew believer to an audience that was intimately familiar with the Hebrew language, culture, customs, and concepts that form both the literal and the metaphorical foundations for vast portions of Revelation. 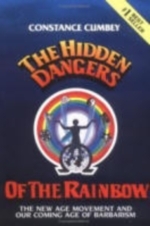 Most people believe the New Age has been long gone from our society, and if practiced at all now it is only by unconventional fringe types. For Many Shall Come in My Name reveals this is not the case. In fact, quite the opposite has occurred. The New Age movement (a term not normally used by its proponents) has permeated virtually all aspects of our society. This “Ancient Wisdom” spirituality can be quite readily encountered in the following fields: Business, Education, Health, Self- Help, Religion, and Arts & Entertainment. This book examines them all. One of the most exhaustive works ever written on Daniel’s Seventieth Week and the coming Antichrist, featuring a complete chronology. See Chris White’s book from above, Daniel: A Commentary and this podcast for an alternative view. Creation occurred in the year 4004 BC according to this detailed thesis proving the exact chronology of history from creation to now. A fascinating proof of the absolute authenticity of the Holy Bible. Very good work and important for all Christians to know. 2) Providing such basic educational proficiencies is not and should not be an expensive proposition. to reject freedom to choose one’s career in favor of the totalitarian K-12 school-to-work/OBE process, aptly named “limited learning for lifelong labor,” coordinated through United Nations Educational, Scientific, and Cultural Organization. 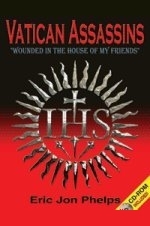 The authors of these 14 books, plus the Cutting Edge Website, tie together the tangled web of behind-the-scenes intrigue of the past 250 years, as it explains the role of the Black Pope, the Jesuits, the public Pope, and Illuminated Freemasonry in the gradual, but bloody, drive to achieve the the Kingdom of Antichrist, also known as the New World Order! Once you read this material, you will understand all the historic forces that have cooperated to stage the events designed to bring Antichrist on to the world scene. You will further more completely understand current events, and the people bringing them to pass. While the original Vatican Assassins book (2002) was only 700 pages long, this book is 1836 pages pages long, in 50 chapters, and contains 760 startling pictures. Rather than charge more than $150 retail, Eric Jon Phelps has decided to publish this book on CD-ROM, bringing the price down to $39.99, on sale now for $19.99 plus shipping. I just ordered this book and look forward to studying it. I believe it will confirm the Bible’s portrayal of the woman riding the beast who “rules over the kings of the earth.” Revelation 17:18 See chart here. This is a great book that brings in one perspective on the whole alien agenda. Of all the ways it could be played out, this one makes the most sense to me and is right in line with how I imagine it is. A wonderful story and some very thought-provoking ideas. 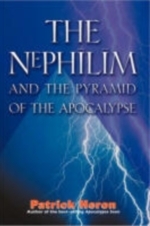 The Nephilim and the pyramid of the Apocalypse is a great read. if you are interested in the Bible; Accent religions of the Hebrews, Assyrians, Egyptians, Romans, Greeks etc. ; Megalithic structures such as the great pyramid of Giza; Angels, Fallen Angles and demons; Astronomy-astrology; the book of revelation in the new testament (Basically Heron does a line by line exposition of the book hear), ancient Hebrew prophecies in both new and old testaments; Other accent writings; a study of who the Nephilim were and what they did; who is God and what will happen in the feature; then this book is for you. Did you know that negative emotions can adversely affect your health? Depression, anger, guilt, condemnation, low self-esteem-these are only a few of the lethal toxins that threaten body and spirit. 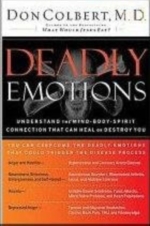 Offering a clear definition of deadly emotions-what they are, where they come from, how they manifest themselves, and their effects on the body-Dr. Colbert uses scientific evidence to support his views. He further offers hope in the form of God’s power to deliver readers from these toxins, focusing on the power of forgiveness and repentance, the value of a merry heart, and the joy of the Lord. Finally, Dr. Colbert shares insights on the role nutrition plays in removing the physical toxins that inhibit true health. What happens when science falls prey to a deadly political agenda? Prehistory, according to Heinrich Himmler, had to be rewritten. The chief of the SS and the architect of the Nazi death camps was convinced that archeologists had long ignored the accomplishments of a primeval race of blond-haired, blue-eyed conquerors -- the Aryans. Himmler believed that Germany’s ancestors had evolved in the icy barrens of the Arctic where they had ruled as an invincible master race. Now, he theorized, only in select parts of the world did some true Aryan blood remain. Himmler’s history was pure fiction, but his conviction was unshakeable. In 1935 he founded the Ahnenerbe -- a research institute to manufacture archaeological evidence for political purposes -- and set about recruiting a bizarre mix of adventurers, mystics, and reputable scholars to help rewrite all of human history. Researchers were sent on public expeditions and secretive missions to Iraq, Finland, Tibet, and beyond, backed by the power of the Third Reich. Drawing on extensive original research, Heather Pringle paints a compelling and sinister portrait of the Ahnenerbe and its role in the Holocaust, and reveals the German scientists and scholars who allowed their research to be used to justify extermination. Combining the energy and storytelling skill of the best fiction with the chilling detail of history, The Master Plan is a groundbreaking story of delusion and excess, of scientific and political abuse on a global scale.